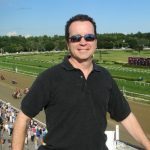 The summer of 2018 is slipping away, but we have already been rewarded with some top class moments in racing this year: Justify secured the Triple Crown, arguably in greater style than any horse before him; Stradivarius showed his credentials by wining the Ascot Gold Cup; Gun Runner gobbled up the big prize money by winning the second ever Pegasus World Cup. Starting with a hot favourite, Winx is on a well-documented 26 race winning streak, equalling the record of the legendary Black Caviar. The mare now tops the rankings as the world’s best racehorse, quite the feat with the likes of Justify was out there creating history. The Cox Plate looks like the right fit for Chris Waller’s horse. The reason Winx makes for an intriguing bet is that there is every chance those odds will drop as we approach November. Few big races are nailed on in horse racing, but the Cox Plate looks almost certain for Winx. This one takes place right at the tail end of 2018, so you might want to wait a bit to get a feel for the British national hunt season before weighing in. However, Cheltenham Gold Cup winner Native River sticks out at a very big price here. The current favourite, Might Bite, comes in at 5/2, but you’d need to be pretty brave to go all in at this stage with odds like that. Listen to any of the connections of Trapeze Artist speak and you’ll hear a team brimming with confidence in its charge. On paper, you can see why; Trapeze Artist loves the distance and beat last years winner, and 9/2 second-favourite, Redzel at Randwick in April. One caveat, however, is that the Everest works in the same manner as the Pegasus World Cup in that slots are purchased for the race. Two slots are yet to be filled, so there may yet be a better challenge to Trapeze Artist. 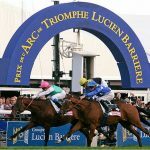 Two names have dominated the betting chatter in the run up to France’s most important race – last year’s winner Enable and 9/2 favourite Sea of Class. 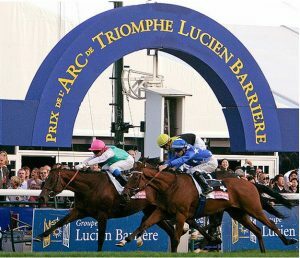 However, keep an eye out for Pascal Bary’s talented Study of Man, who took a surprise victory in the Prix du Jockey Club, the equivalent of the French Derby, in June. Again, most of the betting has centred around Kew Gardens (7/4) and Lah Ti Dar (5/1), but Old Persian showed that he is a battler when beating the former at York last week. The St Leger will represent a tougher challenge and it’s going to be a tight race, but the value might well lie with Charlie Appleby’s underrated 3-year-old.